I've been staying busy on the trip for the most part, and somewhere in far Western Texas I pulled out my bag of wool and started needle felting. 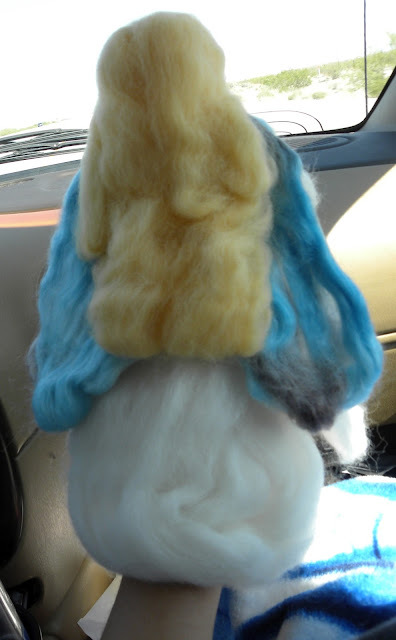 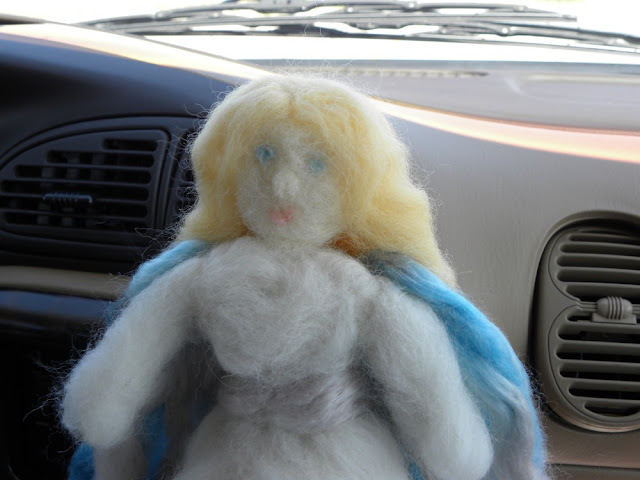 I figured it was a dangerous idea, after all, I stab my fingers when I'm needle felting on a good day, and so needle felting in a moving car seems like a rather risky idea. 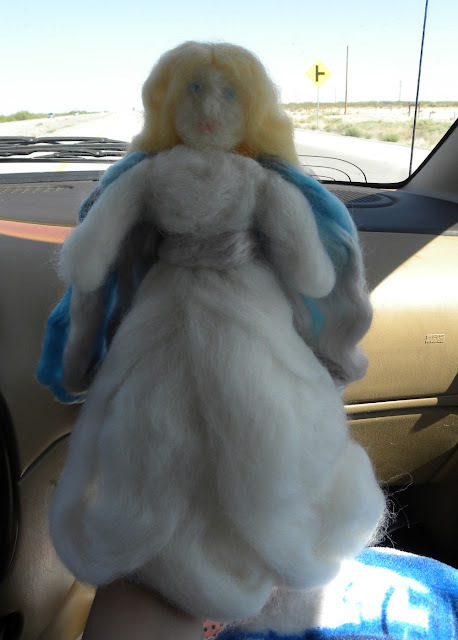 Still, I decided to give my rosary making calluses a break, and set out to make an angel for the top of our Christmas tree.